Our new premium Velvet collection is a luxurious and healthy 85g chocolate range handcrafted from the finest single origin cacao and cold pressed virgin coconut oil, both sourced from the pristine Solomon Islands. The Velvet collection is Dairy Free, Gluten Free, Nut Free, Soy Free, Cane Sugar Free, Kosher, Vegan and showcases all the powerful superfood health benefits of cacao and cold pressed virgin coconut oil. 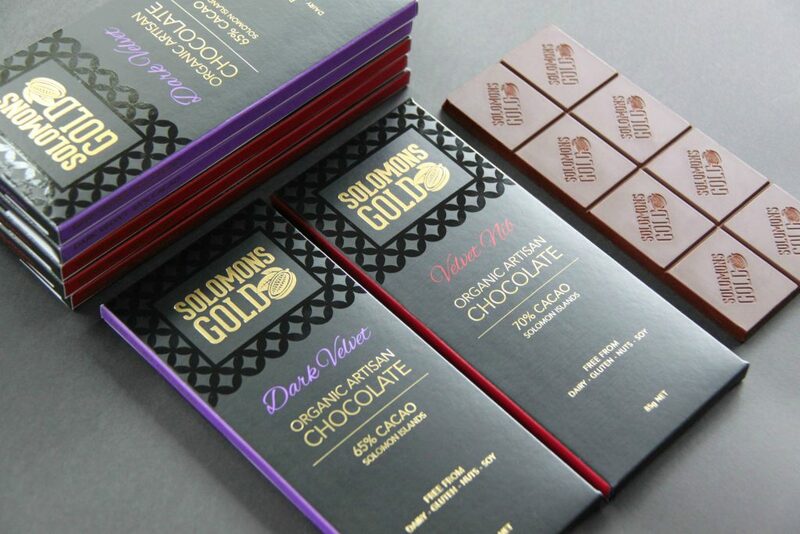 Our new organic range delivers a refined & velvet smooth note that will appeal to chocolate connoisseurs, as well as health conscious consumers seeking wholefood, 'Free From' and allergen free chocolate alternatives. 'Free From' foods are one of the key growth drivers in the healthy food category and consumers are increasingly looking for products containing natural and 'Free From' ingredients with high antioxidant levels. We hand select the finest cacao beans directly from our growers in Solomon Islands to craft our delicious and healthy chocolate, made from simply 3 ingredients. Our chocolate is handcrafted in New Zealand from bean to bar in small batches. 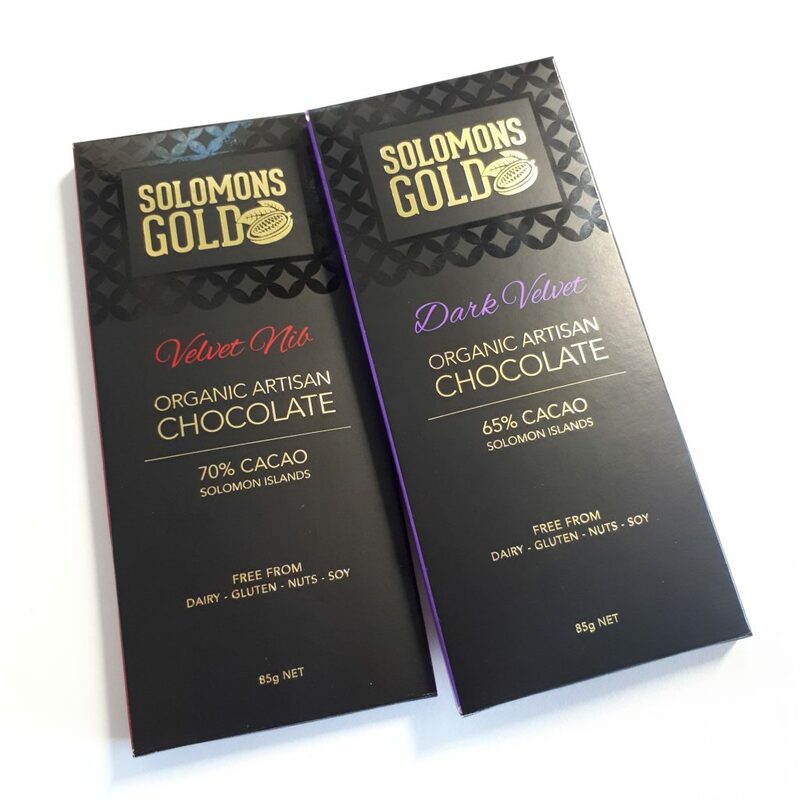 Solomons Gold is an Internationally awarded bean to bar chocolate and cacao producer.